The small team of developers at Staudt Technologies have taken to Kickstarter this week to launch their new affordable yet powerful LiPo PSU module in the form of the PGCPSU. 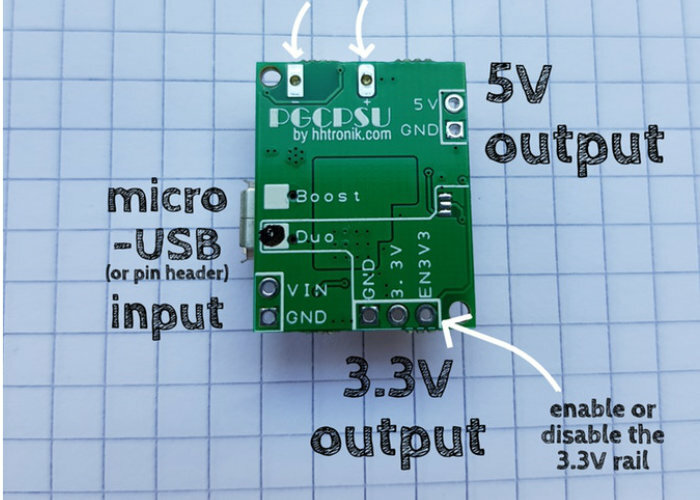 PGCPSU is a three in one power supply board: it integrates a lithium battery charge management circuit with 5V and 3.3V DC-DC converter-based output rails to power most projects in a very compact form factor. For more details and to make a pledge from €7 jump over to the official Kickstarter crowdfunding website by following the link below.